PI/CPC Minutes – October 2013 – Lincoln Nebraska A.A.
Sept. 9, 10am – 2pm. at Trabert Hall. Luke H., Anna G., Zech M. – Mostly shared with other professionals, rather than with outside people. Mostly passed out books. Was really good. Cindy wants to have a presentation (like we do for Drug Court) for probation officers. Will follow up with her about this. 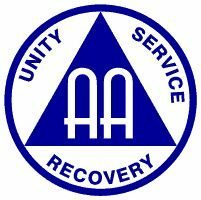 — The Recovery Center liked the AA pamphlet stand we had and would like to have their own. Zech will find out more information and we will discuss next month if we should fund this or tell another committee about it. Alyssa W., Joel E. – Good! Joel has inventory count from passing out pamphlets. They will be having an event next August that they would like to have us attend. They will be in touch. Drug Court needs to put this on hold as there is no one who can be there to open the building/room. No other night works because of lack of space or staff. Jesse (from Drug Court) will contact Jessi H. when this can resume. The mission was contacted and they thanked us for the email. All pamphlets have been picked up and are in PICPC’s possession now. PSA is own backorder and Area 41 literature chair will get that to the committee when it comes in. Discussion is beginning about having a presentation twice a year for probation officers at Trabert Hall. Updates will be made as this unfolds. Our information was passed to the Curtis Center and they contacted Jessi H. to see about getting a meeting in their facility like they had in the past. The Treatment committee was sent the contact information, so hopefully a meeting will get going over there. We plan to do this workshop once again in 2014. The date is set for August 5, 2014 from 1-4:30. The Independent Center will again get it approved for CEUs and PICPC will beginning planning the content and asking speakers to come. More to come on this next year. Bernice was contacted by the Waverly Care Center interested in getting a meeting and/or information about AA out to that facility. Bernice is following up. More to come. It was brought up to contact colleges (specifically the health offices) about taking information about AA to them. Stephanie M. and Mike P. will begin with contacting UNL and Wesleyan. Jessi sent everyone the generic email that Kjerstin had created. Now anyone can use this to contact entities who might benefit from our work. We discussed the budget. Separate sheet. Positions available for the next rotation were discussed along with duties and sobriety requirements.